In its most basic definition, field sampling is the analysis of a geographic area. The process, though, is quite complex yet necessary for determining the viability of an area for farming, establishing residency, raising livestock, etc. We’ll go into deeper detail regarding the efficacy of field sampling and why it may be necessary for land owners, land buyers, and real estate agents. What Does Field Sampling Mean? In a field sample analysis, a surveyor may remove a small sample of the earth for examination. The sample may consist of a number of sample types, such as a portion of the soil, dirt, sludge, drinking water, industrial waste, and even the air. Techniques for sample analysis are diverse and includes procedures in accordance with federal and state-approved methodologies. Strict measures are adhered to ensure the sample collected is representative of the ground conditions as a whole. Methods vary. If samples include water, methods may include collection from a faucet or natural body of water. If the latter, a sampling tube or sampling iron may be used to gather water at various depths. For various industries, the sample may determine whether company-produced waste yields a public health hazard for the local populace or wildlife. Testing ensures all practices fall within EPA and state-level guidelines. For residences, field samples may determine whether the ground conditions are ripe for gardening, farming, erecting a pool, etc. For land buyers and real estate agents, field sampling may determine whether a specific plot of land is a viable candidate for new construction projects. If an analysis yields loose and poor soil conditions, for example, that may mean the foundation for an upcoming construction may require special concrete or steel piles, which may substantially add to building costs. Having such data allows investors to analyze cost-to-profitability ratio. Often, field sampling includes soil analysis. 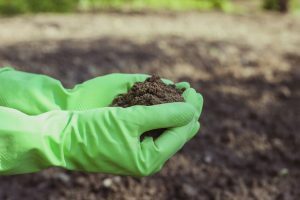 Soil quality is important for various industries and residences. It’s especially relevant in the agricultural sector where nutrient content in the soil fluctuates between seasons and can determine viability of crops. Soil data helps farmers and growers develop a crop fertility management program. Soil samples are collected at various depths, starting from the surface and collecting every six inches up to a depth of 24-inches. Samples collected at each depth is bulked into composite samples and air dried before undergoing lab analysis. Contact Phoslab to arrange for a field sample services. We have performed accurate and timely field sampling for a number of industries, including private homeowners and real estate brokers in Central Florida. In many industries, understanding land viability is the first step before proceeding with major development plans.